The Mahabharata is an epic poem which recounts the story of the dynastic struggles over the throne of Hastinapur, a kingdom in northern India, in the thirteenth and fourteenth centuries BCE. Hastinapur was ruled by the Kuru clan which had two competing branches, the Kaurava and the Pandava. The struggle culminated in the battle of Kurukshetra in which the Pandavas were victorious. The length of the Mahabharata is extraordinary – more than 200,000 verses and a total of 1.8 million words. Despite its format the Mahabharata is regularly performed all over India, with sleep and food breaks both for the audience and the cast. The epic is regarded as a historical account, as a moral tale, but also as a basic statement of the principles of Hinduism. There are love stories here too, tales of deceit and revenge, and some great fighting scenes. 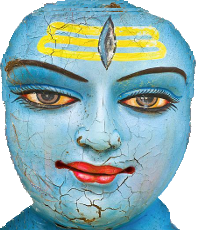 The principal figure in the epic is Krishna, who is the god of compassion, tenderness and love, but he is also an embodiment of the supreme, universal being. The way he is depicted reflects these varying roles – sometimes he is a god-child playing a flute, sometimes a prankster stealing butter, or a lover surrounded by adoring women. 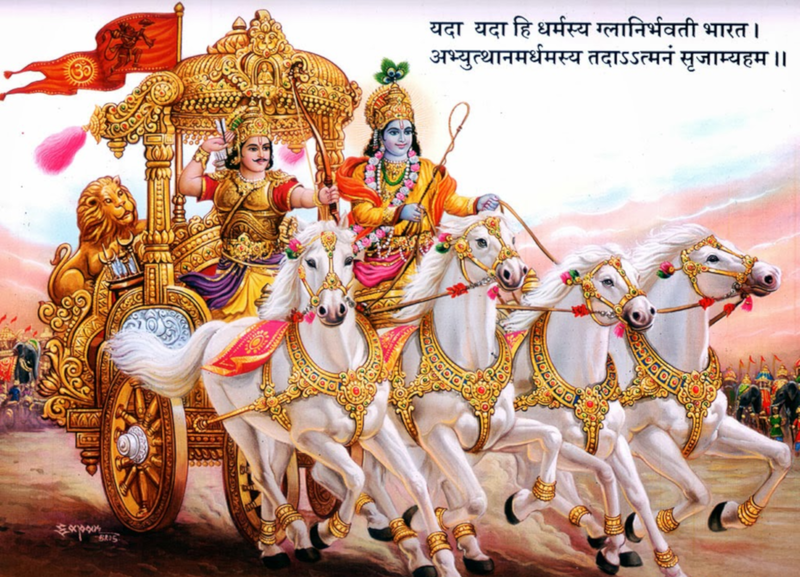 In a part of the Mahabharata known as the Bhavad Gita, Krishna is a chariot-driver who gives a lecture to Arjuna, a disciple, in which he explains the difference between just and unjust wars and the importance of loyalty to one’s family. But there are religious themes too, concerning the relationship between the soul of each individual and the soul of the world. Indeed, the warlike setting can itself be interpreted allegorically – the relevant battle concerns not political power but the moral struggles of human life. The Mahabharata has had a profound influence on Indian culture and it continues to inspire playwrights and artists to this day. It has had an impact on the Bollywood film industry too. [Read more: “Curries, Bollywood and the Beatles in India”] This is obvious, for example, in the narrative techniques used in Indian movies with their many side-stories, back-stories and stories-within-stories. Indian movies too are rather long-winded and they make heavy demands on the ability of the audience to follow an elaborate plot. @indiancatch22 @gchikermane One more suggestion for #Mahabharata by @SadhguruJV. It's a Video series with a new light on the epic. I am just starting on the 10 volumes of the #Mahabharata by @bibekdebroy but this is a great list to follow through over the next few years. Thank you. I end my World Book Day by picking up this as my next read for the days ahead. I hope this will enhance my understanding about the greatest epic in addition to the basics I learnt from the 90s televised rendition.